The Individuals' Deposit Guarantee Fund on January 22, 2016 signed a memorandum of cooperation with the nongovernmental organization of depositors of bank Finance and Credit – National Welfare of Ukraine – to jointly work during the process of liquidation of the financial institution and monitor the return of funds to the bank's creditors and the state, the fund said on its website. The fund said that the sides agreed that they will jointly work to protect the rights of creditors, reveal and remove infringements committed by the bank's shareholders and officials, effectively sell assets of the bank, and not allow the risks of satisfaction of the claims of creditors who do not have legal grounds for this. As reported, the Individuals' Deposit Guarantee Fund paid UAH 2.5 billion to depositors of bank Finance and Credit being under liquidation in the first week of payments in the period of the bank's liquidation starting from December 23, 2015, which is 40% of the total refunding (UAH 6.5 billion). 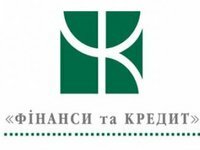 The fund said that the general register of depositors who will receive funds during the liquidation of the bank includes over 200,000 depositors. Payments are settled via Oschadbank, Alfa-Bank, bank Pivdenny and First Ukrainian International Bank (FUIB) depending on the place of registration of depositors mentioned in the agreements. The fund said that UAH 3.9 billion was paid to depositors in the period from September 18 to December 17, 2015 when temporary administration worked at the bank. The National Bank of Ukraine (NBU) on December 17, 2015 under a proposal of the Individuals' Deposit Guarantee Fund passed resolution No. 898 on revoking the banking license of bank Finance and Credit and liquidating it. The fund on September 18 introduced temporary administration at Bank Finance and Credit, while the NBU declared the bank insolvent on September 17.